Mynewsagent.co.uk places a newsagents business online and groups local communities together. Serving the newsagent and their customers as a professional business tool and a community networking facility. Every newsagent's website is a community access point, connecting to other newsagent websites in the area forms a wider community and can be used for free classified advertising, free advertising of local events and local business. Local discussion/chat areas, local websites and video uploads are on the way. Online special offers, Newspaper & Magazine discount vouchers and much more is in the pipeline. Services mentioned will always be provided free where possible, only physical products (newspapers, magazines etc) will require payment. Your newsagent is waiting for you to register. Find your newsagent using the tools above and register with them. Login to your account, You will see "Your Online Account" if the newsagent is registered and has selected to provide online billing. If this option is not available, send a message from the section "Your Mailbox" and ask for the ability to pay your account online. We will contact the newsagent to encourage them to provide online billing. Just type your full postcode and click submit, you will be presented with a list of newsagents in your postcode area. Should your newsagent not appear in the list, please contact support with a telephone number and address for the newsagent, or ask your newsagent to register with us here. Select from the drop-down options and follow the process to find a list of newsagents in the selected area. You will see a list of newsagents for the area selected. Quickest and easiest way for you to go straight to your newsagents website. Type in your newsagents id number, click submit and you will be taken straight to your newsagents website. Every newsagent has an ID Number, if you do not know your newsagents id number use another search method (e.g Postcode search is very easy) to find your newsagent. All registered users are sent the newsagents id number when registration is complete along with a simple clickable link to save typing in the number. 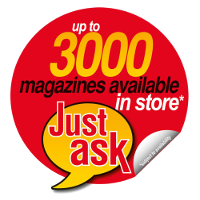 We have 19,842 UK newsagents in our list, we continue to work on keeping the list accurate. However the nature of the newsagent trade means that details change, newsagents change hands (new owners), some newsagents close and some new newsagents appear. You could tell the newsagent about this website, we will add them to the listings Free of Charge and can provide them with full website ordering facilities which will enable you to place your orders online. We thought we had every location listed, it could be that our database is incorrect or there is no newsagent in the selected area but we will investigate the problem and resolve it for you with urgency. First we need to be told of the missing area, please tell us here of any area missing. We will investigate and correct the details if a problem or error is found. Generally the answer depends entirely on the distance between the newsagent and you, the density of the local population and the number of other local newsagents. In many rural locations delivery distances can be greater than in densely populated towns and city suburbs. Find the newsagent closest to you and register with them, if delivery is not possible they will contact you to notify you of this. Register an account with them by clicking the registration button on their website. Registration is a simplified process involving you selecting a Username and Password, providing your Email Address and activating your account by responding to the activation email you will be sent immediately. You select your own username and password as you register, it is clearly indicated to you at registration. You must first find the newsagent you wish to register an account with and click the registration button on their website. The range of options available to you depend on the options your newsagent has chosen to provide. We have provided newsagents with a wide range of tools and options which can be provided to their customers, the newsagent decides which options to include. You must first find the newsagent you wish to regsiter an account with and click the registration button on their website. There are further ranges of facilities in development for inclusion, all for the benefit of registered users and newsagents. As each facility is added, registered users will be informed via the system. To register you only have to provide very minimal information (email address), but to receive Home News deliveries you will be required to provide the following information. These details are the minimum required to cover registration purposes and fulfilling home deliveries. It costs absolutely nothing to register a news delivery account or use this website. You will only be required to pay for any items that you receive delivery of (newspapers, magazines etc) or placement of some adverts. Some other optional services may require payment such as advertising local business on the newsagents website. The additional services are optional, you are not required to use them to order Home Delivery of newspapers and magazines through your account. You can make as many changes to your home delivery account as you wish without any charge for doing so. You must however consider that the newsagent will have to deal with any changes you make and may wish to contact you to verify that the changes are actually required. You must also consider that continually making changes can lead to confusion and errors, each change you make may also be subject to delays in ordering and cancelling products from wholesalers. Your newsagent will communicate any information to you via your account management area. You will be held responsible for payment to the newsagent for any products or services ordered through your account. Never, never, never give out your login details. We will never ask you for your Username and Password because we dont have to, so never give them out to anybody. We may ask you which newsagent you are registered with and we may ask you to confirm some of your account details, but we do not need to ask you for your Username or Password as we already know them. However securely we treat our users account information it is only as secure as our users allow it to be. Instances of unauthorised account access are usually down to users leaving their computer logged into their account or leaving their login details available for others to see or use. Please always keep your account login details secure and away from prying eyes, never give out your login details to a third party, we will never ask you for your username and password. Whenever you complete changes within your newsagent account, please logout to keep your account secure. Please follow these guidlines even if you are the only person with access to the computer. Changes made to delivery schedules or products being delivered within your account will be your responsibility to resolve with your newsagent who will require payment for any products delivered. When you attempt to retrieve your login details our system is sending your login details to the email address you used when you registered with your newsagent. If you have changed your email address since that date you will need to contact support who can correct the problem for you. It's not a problem, all you need to do is register at www.newsagent.me.uk and your newsagency will immediately be added to the list. No problem, register at www.newsagent.me.uk, You will be supplied with a control panel from which you can update your newsagency details. No problem, send us Full contact details and the Agent ID number you wish to discuss to Support Email, We will contact you to verify the details.